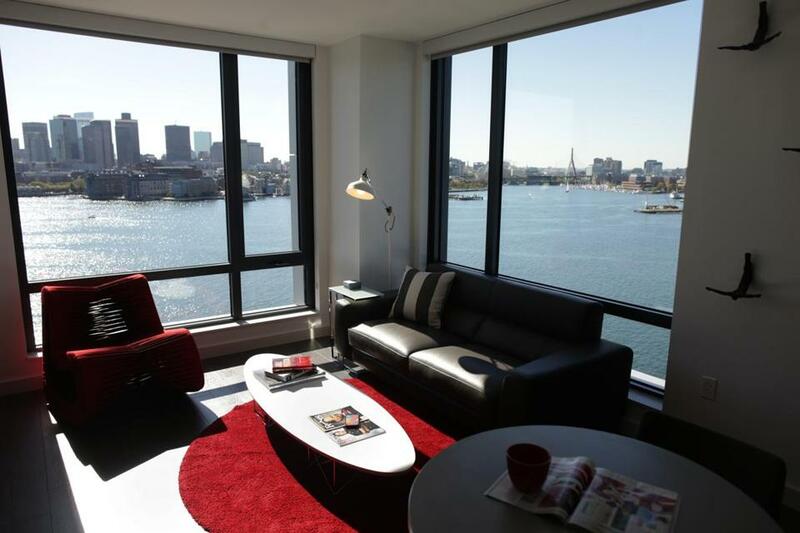 The Eddy, a luxury apartment building on New Street in East Boston, has spectacular views of Boston. East Boston has never seen anything quite like The Eddy. It towers more than 200 feet on a corner over Boston Harbor, with an outdoor pool, rooftop deck, and views that reach from Chelsea to the Seaport. Its glassy lobby hums with a cool soundtrack and features the sort of decor you’d imagine in some very hip marina. And the rents, while a step below new buildings popping up downtown, hit nearly $4,000 for a top-floor two-bedroom. It opened last month and is already one-fifth leased. “We’re seeing really strong interest,” said Gabby Lamberti, the building’s property manager. And now more developers are making big bets that interest in East Boston’s waterfront will grow. Down the block, on Border Street, Trinity Financial is building a 200-unit apartment building it’s calling Boston East. Around the corner, Lendlease is getting started on a harbor-hugging complex of four condo and apartment buildings known as Clippership Wharf. And next to that, 275 more apartments are coming to the second phase of Portside. All told, the four projects will bring nearly 1,000 new units to a mile-long stretch of waterfront, with smaller projects nearby combining for hundreds more. Most are aiming for prices that, while high for East Boston, remain below the sky-high rents of new buildings in the city’s core. It’s a wave of construction that promises, finally, to transform a slice of the city that has long been pitched as the next big thing but has never quite gotten there. But the market for this sort of high-end housing is still unproven, which has those other developers watching The Eddy closely. On a recent sunny day, designers were finalizing decor for the second-floor lounge — “Whales?” one asked. “Or fish?” — while prospective tenants set up tours in the leasing office. Lamberti and developer Kelly Saito, whose company, Gerding Edlen, spent $135 million on the project, showed off the vast outdoor patio on the second floor and the high-end finishes in the apartments upstairs. 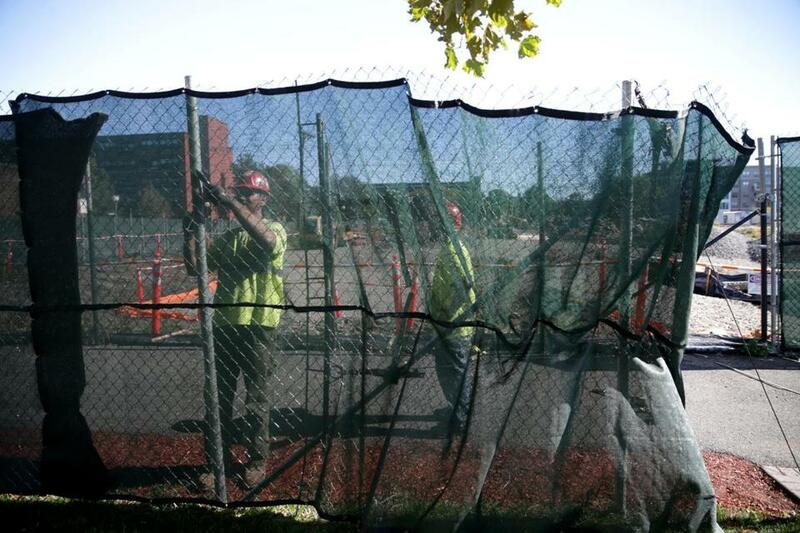 Workers put up a fence at 25 Lewis St., site of the Clipper Ship Wharf project. It’s a place that would fit right in with new complexes that have sprouted in the South End, South Boston, and downtown in the last few years. But it’s across the harbor. And that can be a challenge, Lamberti said. To lure the leery, The Eddy promotes its proximity to Maverick Square and the two-stop Blue Line ride to downtown. They’re offering a discount for renters who work on State Street and at Logan Airport. Lamberti has even been talking with suppliers of on-demand delivery apps, encouraging them to boost their often-spotty service in East Boston as more affluent younger residents move in. Some of them are already there. In the past few years the neighborhood has become a popular destination for young professionals and college students looking for less-expensive housing close to downtown. That has drawn a wave of investors who buy older row houses, sometimes pushing out lower-income tenants to cater to well-heeled newcomers. Developers say the new supply may help ease some of the pressure on existing housing, while financing new parks and other improvements in the neighborhood, especially along its waterfront, where state rules require some public investment. Longtime residents recognize that East Boston is changing fast, said Margaret Farmer, cochairwoman of the Jefferies Point Neighborhood Association. They hope the people moving into the new buildings along the waterfront venture out to the experience the broader neighborhood. Abby Goldenfarb said she wants that, too. A vice president at Trinity Financial, Goldenfarb is helming Boston East, a 200-unit apartment building under construction on Border Street. The project, she said, is designed to help link the broader neighborhood — where Trinity previously overhauled the Boston Housing Authority’s nearby Maverick Landing complex — with its long-underused waterfront, and create public places for East Boston residents both new and old. 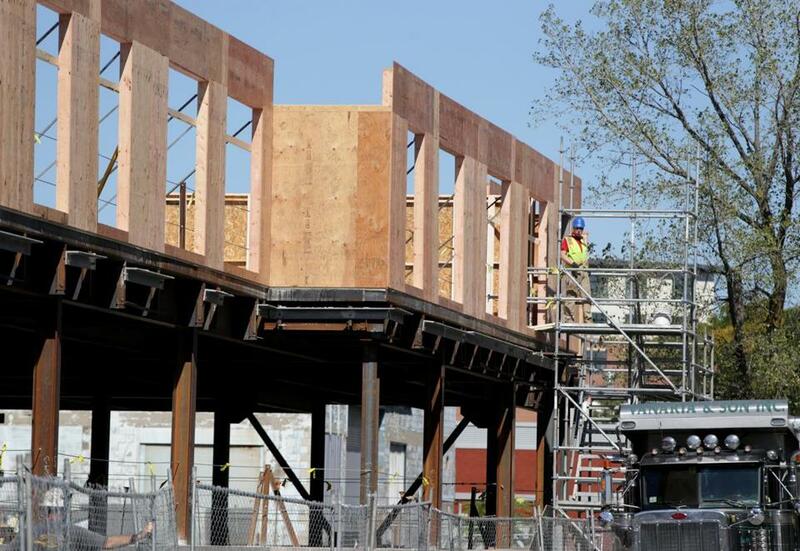 The Boston East complex on Border Street is part of a building boom in East Boston. If projects like The Eddy and Boston East succeed, expect there will be more coming. Nick Iselin, general manager of Lendlease, which is building the 400-unit, four-building Clippership Wharf complex, notes that many of these developments have been in the works for a long time but only now make financial sense. If they prove the case that East Boston can support the sort of rents more often seen across the harbor, even more builders will start looking for projects there. And that could mean East Boston starts seeing more projects like The Eddy. 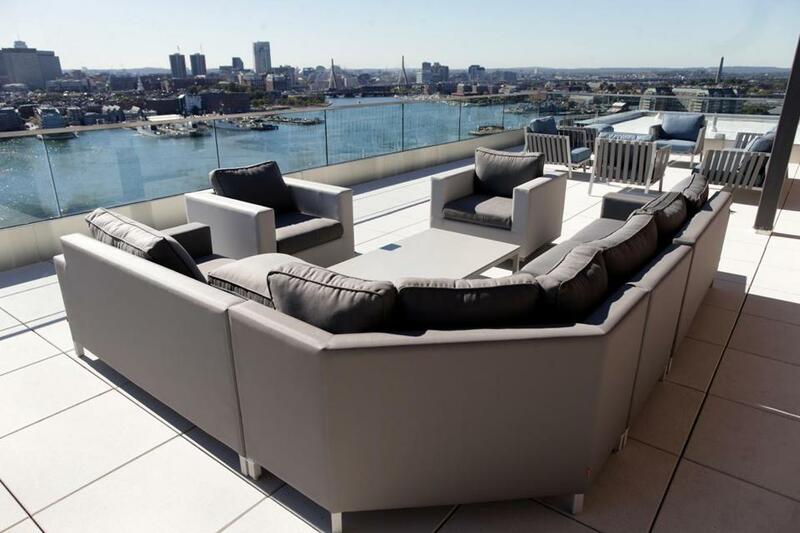 The Eddy features spectacular views of downtown Boston from the roof deck.